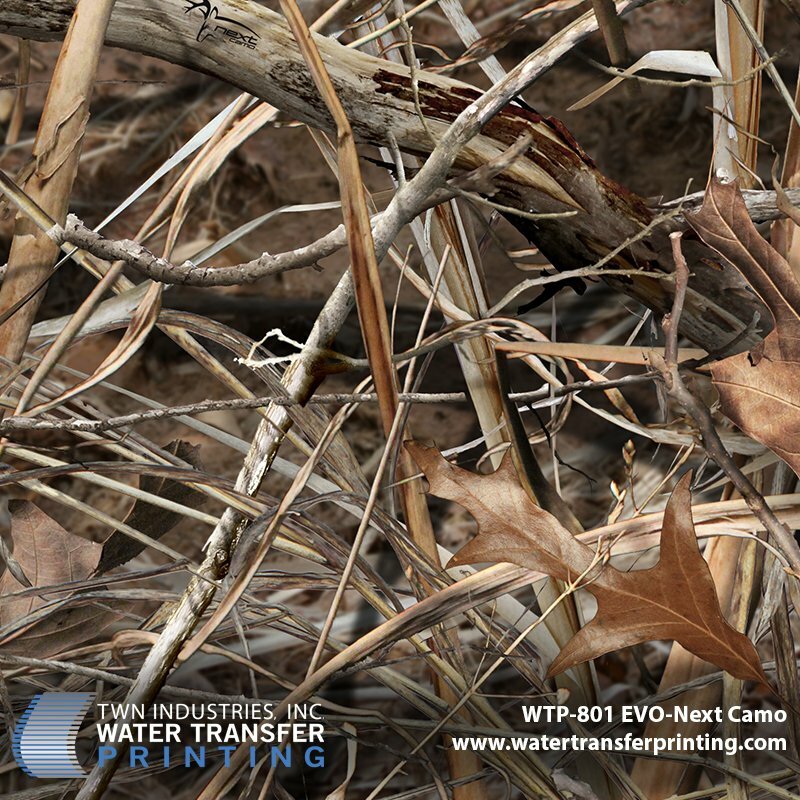 PRINCETON, FL December 9, 2014 – TWN Industries Inc., the leading water transfer printing supplier, has once again teamed up with Next Camo for the release of a new hydrographic: “EVO” (Extra-wide Versatile Open-terrain) pattern. This new extra-wide open-terrain waterfowl pattern was designed to conceal hunters in a number of open terrain environments, ranging from marshes and mudflats to open grassy fields. It’s obvious that Next Camo has set out to “disrupt” the waterfowl and big game pattern market with this extra-wide and extremely versatile camouflage pattern. The Next EVO pattern is made up of a combination of elements commonly found in marshland and open, grass-covered environments along with leaves limbs and twigs–making it the perfect multi-environmental pattern for just about any situation. 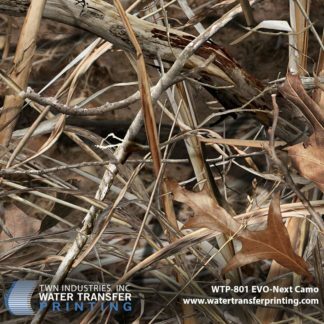 Next Camo EVO water transfer printing film pattern is available exclusively through TWN Industries, Inc. Three-meter accessory packs and production quantity film is available immediately. The part number is as follows: WTP-801 Next Camo EVO. For more information, send us an email or call 305.258.9622.